We are specialist manufacturer and exporter of hand carved wooden wedding mandaps.These mandaps are made of indian weddings. These are made by specialist persons. These are totaly hand made . 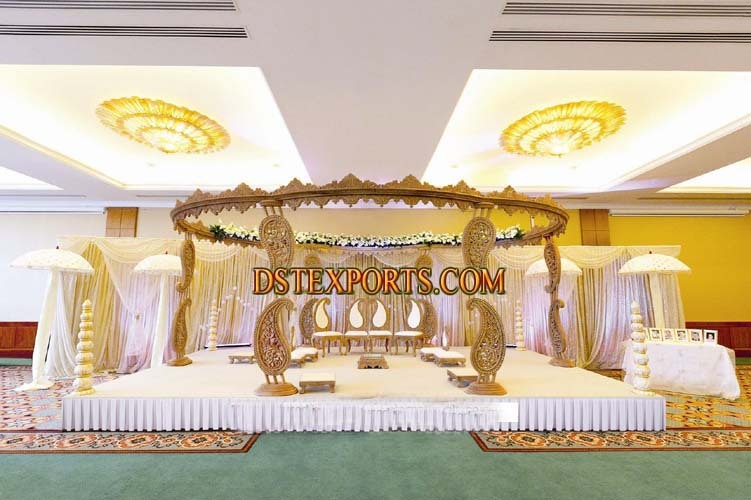 This mandap set will give your wedding totaly traditional indian look. The Mandap is crafted in high quality wood. This is the perfect mix of modern and traditional look. This Mandap is a perfect fit for indoor or outdoor weddings. . You can choose to buy Wedding Furniture, Fabric Backdrops , curtains to complete the look.